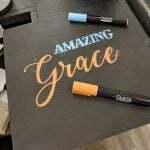 DIY No Fail, Super Easy Pro Chalkboard Drawing and Letters! I recently made this awesome huge chalk board with my Dad for the back of the shop. 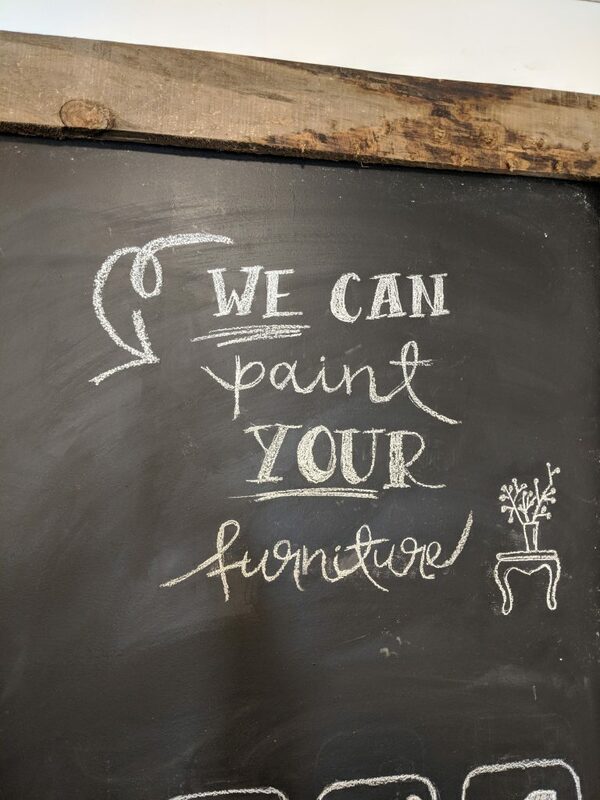 I can paint furniture no problem, but I’m a horrible drawer!!! 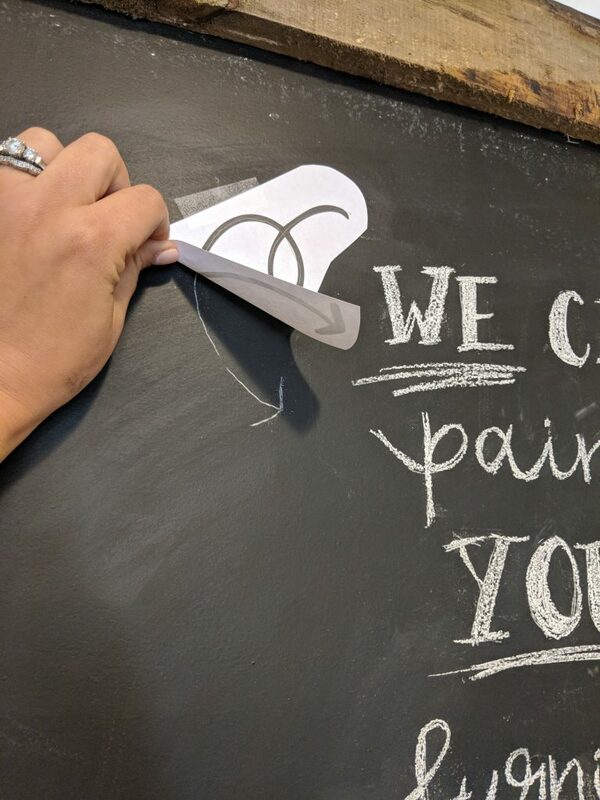 So here is my no-fail, super easy way to get pro drawings and letters on your chalk board. 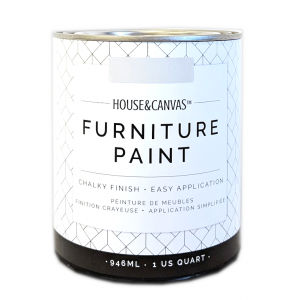 To start, you MUST PRIME your chalk board. 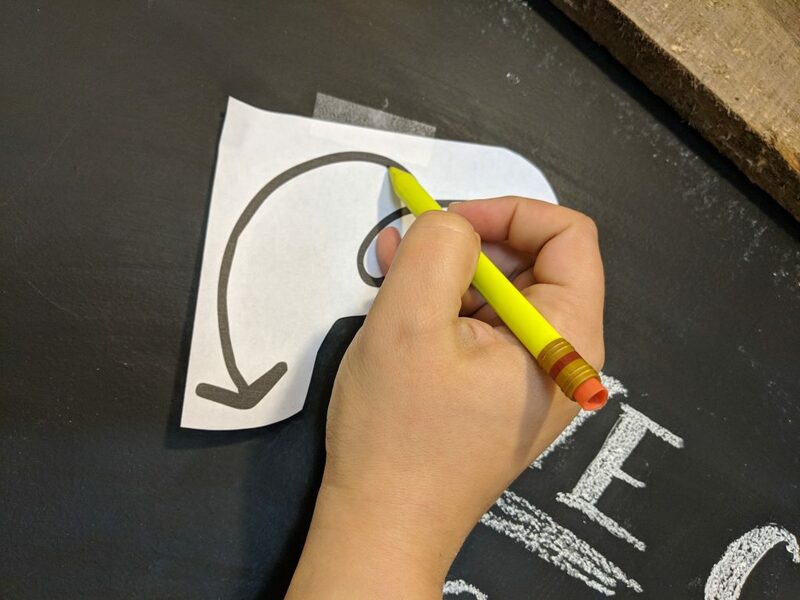 To prime your chalkboard, lay a piece of chalk on its side and cover your entire board liberally with chalk. Rub it in with a dry rag and then erase. 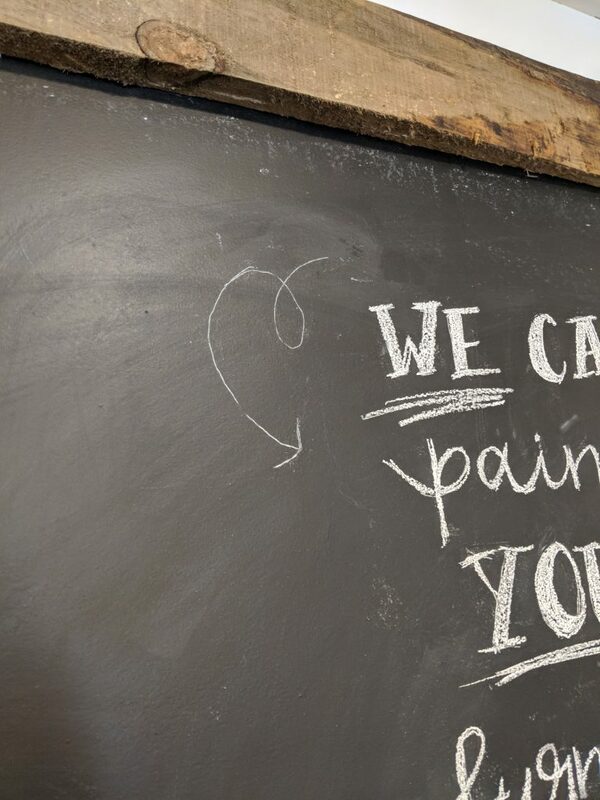 Chalkboards are porous, so if you don’t prime it you are at risk for your first drawing to be there permanently. 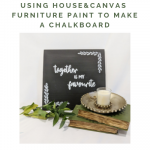 Once you have primed your chalkboard, print out the image or writing you want on the board. 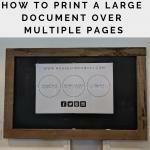 You can print it out on normal everyday paper. Just make sure it is to size. 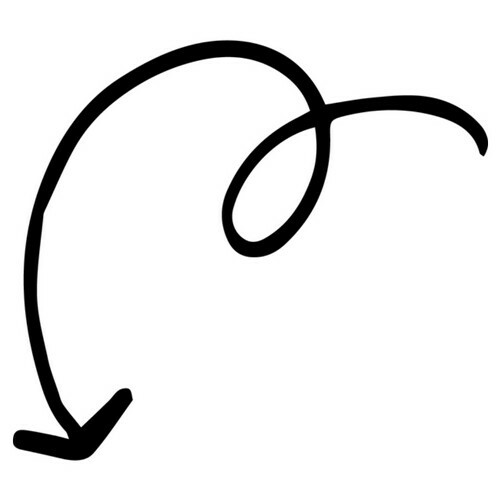 I’m using this arrow for my example…. Flip it over and using a standard piece of chalk, rub all over the image. 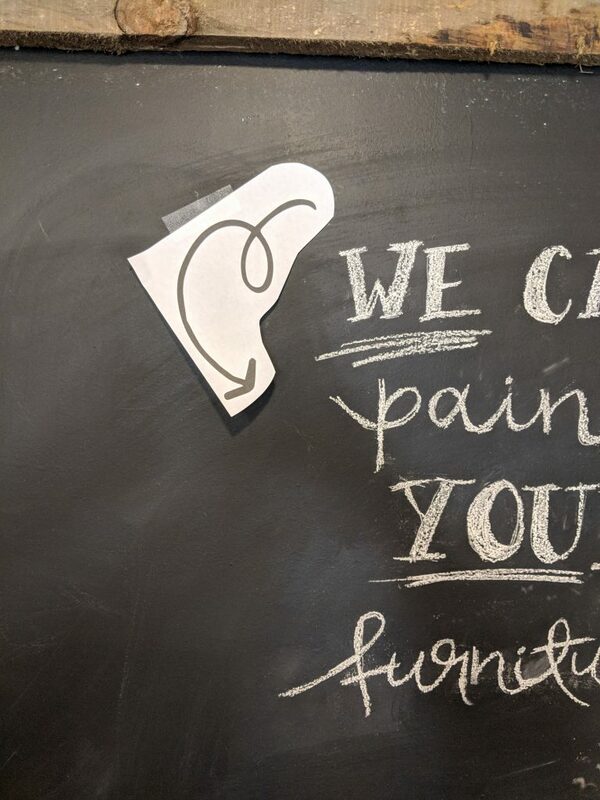 Position and tape it on the chalk board where you want the image. 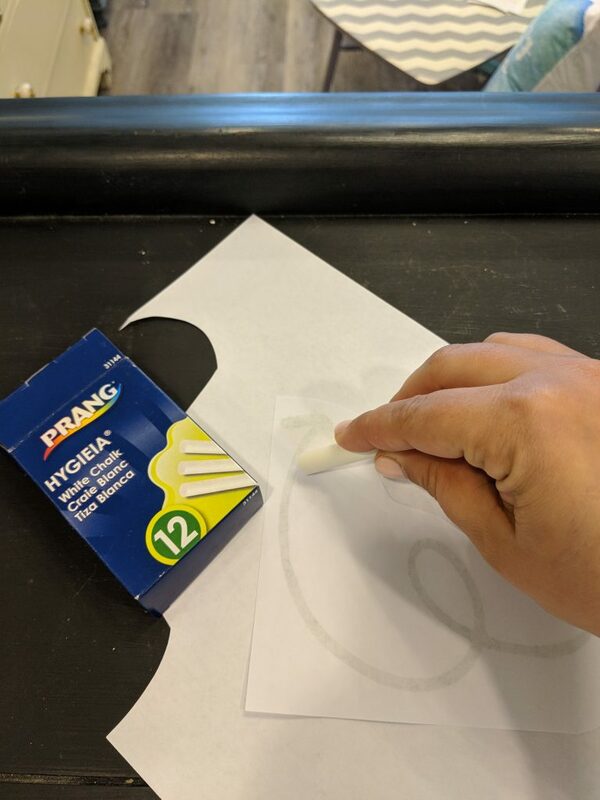 Use a pencil to trace the image. 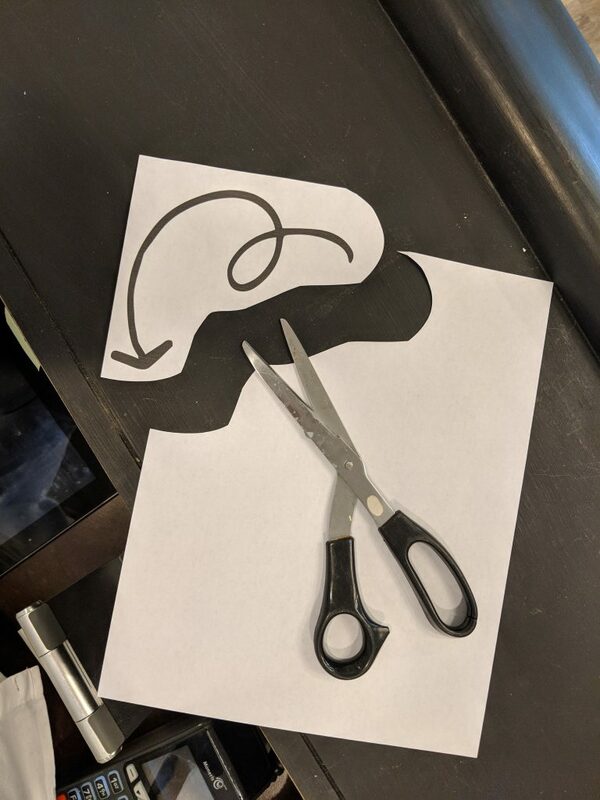 Remove the paper and you will see an outline of your image. 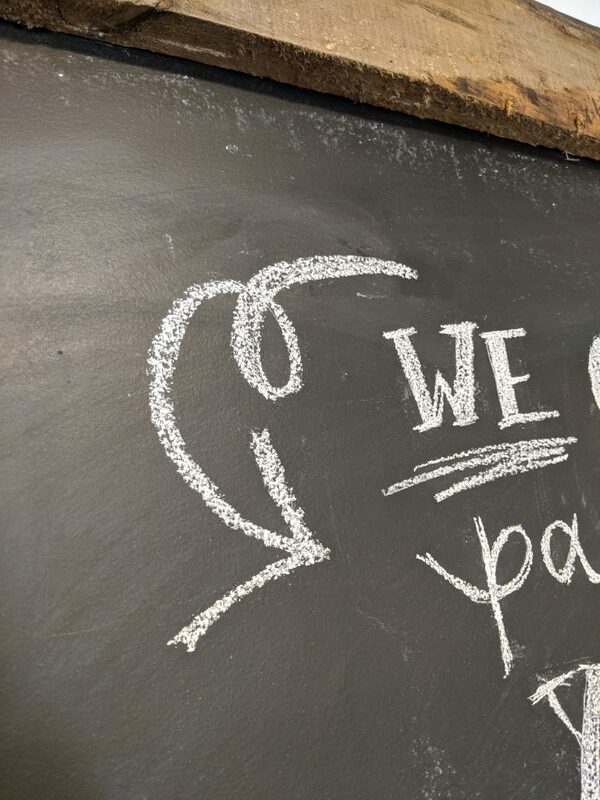 Use your chalk to fill it in and make it perfect!! Use a paper towel to make your edges perfect! 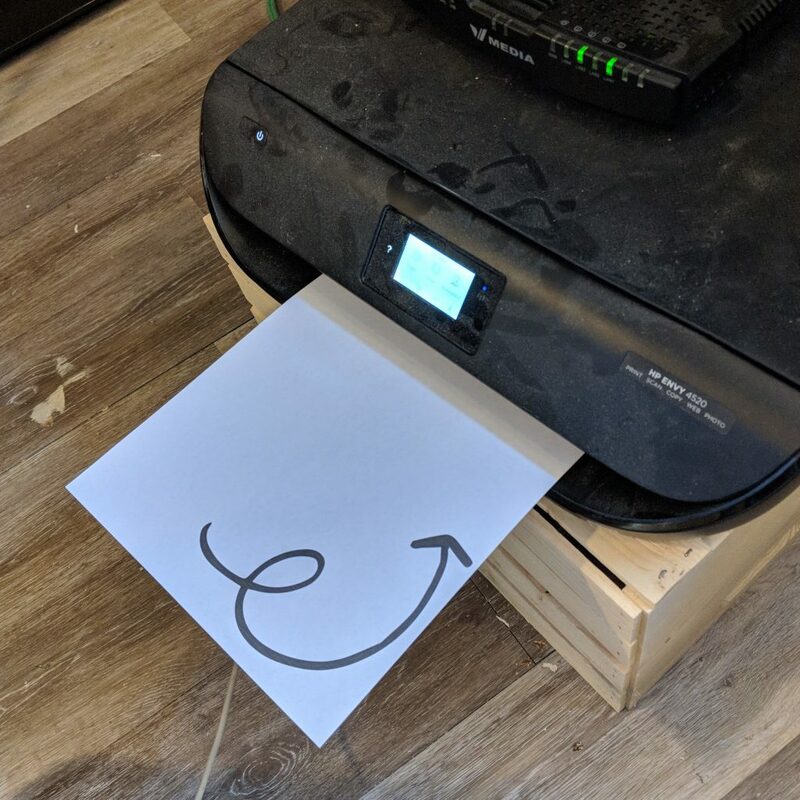 Just a quick “printable template” search on Pinterest and you can find lots of adorable sayings and images to use this technique on! !